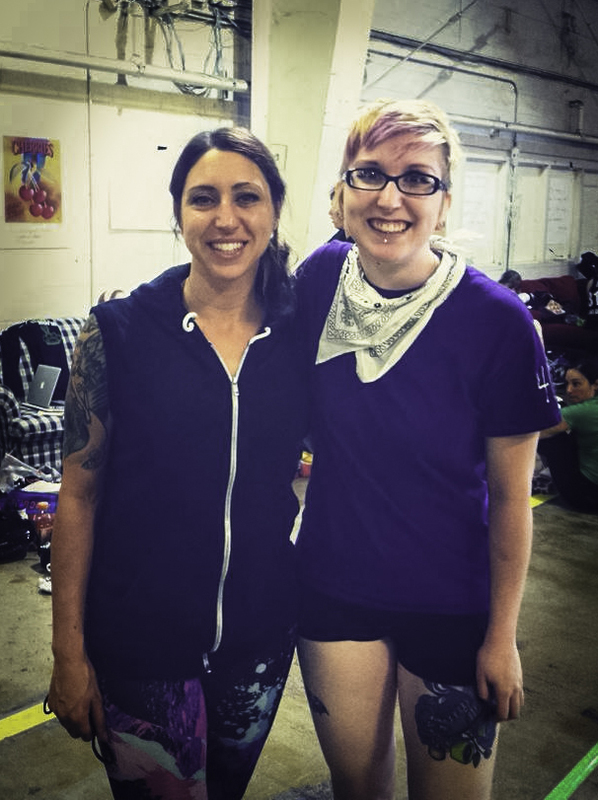 Two weekends ago I had the amazing opportunity to attend a boot camp led by one of my derby idols, Bonnie D. Stroir. There was a lot of skating and a lot of talking and so much learning. I have taken some time to digest all of this information and apply a lot of it to my life and skating. One of the most important things I have absorbed is taking a compliment. I'm definitely one who loves to shower fellow skaters and people with well deserved compliments, but I like to brush away any kind words directed back. Along with that, being kind to myself is something that goes along with that. The never ending learning experience can break your heart and frustrate you to no end, especially when you are attempting to do it but have already accepted defeat. Although I am just teaching myself and learning to adjust to these big mental changes-- I am taking it upon myself to absorb compliments and allow them to make me feel GOOD about myself and whatever I may have done well enough to be recognized. I am also taking a deep breath and reassuring myself that I CAN do whatever I am attempting. Even if it isn't right the first time-- which it never is. I'm going to keep pushing and trying and reassuring myself instead of getting upset on the inside about my inability to grasp and perfect a skill or concept immediately. It's so easy to get wrapped up in what you CAN'T do, but I'm learning to ignore it and use it as fuel to my fire to learn and grow as a skater. It's kind of amazing how much quicker you can grasp something with a can do / never give up / just keep swimming (skating, actually) attitude. And if you haven't heard Bonnie's puppy talk, or even if you have, I highly recommend spending the measly 2 dollars and listening to it yourself. Slamuel L. Jackson #404 is the co-captain of the Ypsilanti Vigilantes. Posted on September 30, 2013 by Slamuel L. Jackson.